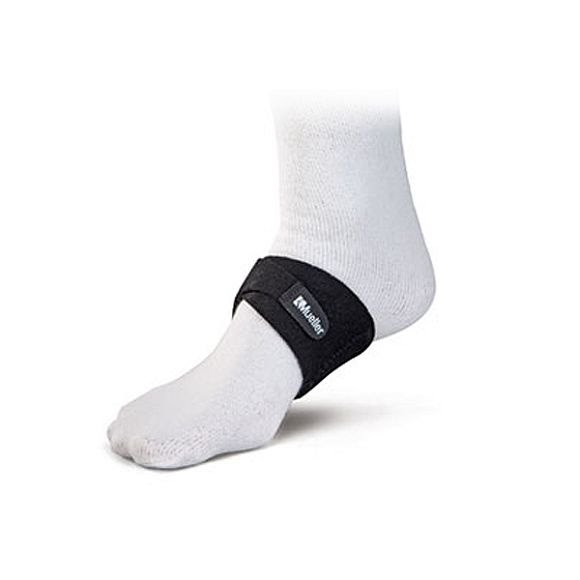 New Mueller Arch Support is designed to relieve pain caused by Plantar Fasciitis and bone spurs by providing upward compression to the plantar fascia and consistently supporting the arch of the foot. Two adjustable wraparound hook-and-loop straps for flexible fit. Apply under or over socks, inside any shoe. Neoprene blend provides lightweight compression and a soft, comfortable feel. Latex Free.